Our newest cookbook Simple Fare: Fall / Winter (no. 2 of our seasonal anthology) is a richly illustrated resource, focused on market-driven cooking. Order ! our new cookbook at the following retailers: Sunday Suppers, Amazon, Barnes and Noble + Indie Bound. Fill out this simple form to receive a limited edition tote bag with your order! Our newest cookbook, Simple Fare: Fall / Winter officially launched on September 19. Order your signed copy here. Available now ! Follow along with Simple Fare to stay up-to-date with daily recipes, events and how to find our books near you. Explore our hashtag on Instagram to see how others use Simple Fare every day in their own lives. This is about how we cook and eat everyday in our home and with our loved ones. The recipes are designed to excite and inspire, each offering 3 to 5 alternate ingredients that can be used in the same preparation. The food is approachable but decidedly nuanced, balancing unexpected flavor profiles with beautiful presentations. 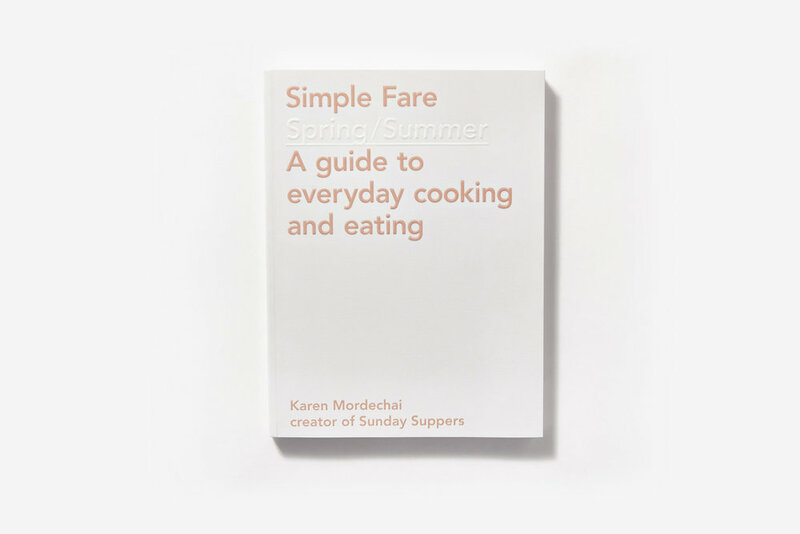 With 68 recipes and 97 variations, Simple Fare is an oversized, distinctively designed kitchen essential of more than 165 seasonal recipes. 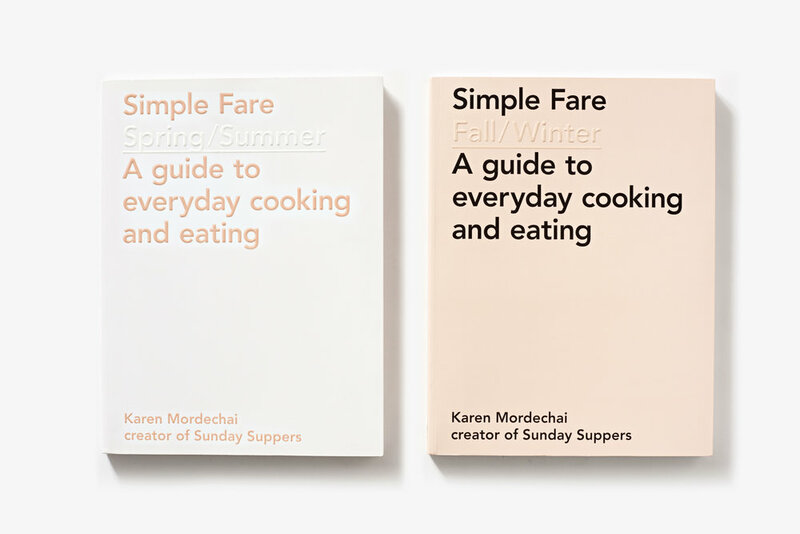 Simple Fare: Fall / Winter and Simple Fare: Spring / Summer is a two-book anthology. The focus is on approachable cooking that is nuanced for the experienced cook — and inviting for the novice. Perfect for holiday gifting and any other occasion, this set is a comprehensive collection of seasonal recipes. Order our new cookbook at the following retailers: Amazon, Barnes and Noble + Indie Bound. Order our new cookbook in our store or at the following retailers: Amazon, Barnes and Noble + Indie Bound. Order our new cookbook set in our shop! Simple Fare: Spring / Summer is the first in our two-book anthology. This book is meant to be a resource, a guide for cooking seasonally and simply.